The Acura TLX is a stylish vehicle option that driving enthusiasts shouldn't miss, so make your way over to Lehigh Valley Acura in Emmaus, Pennsylvania today. 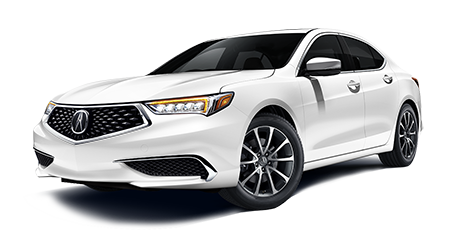 Our team of professional Acura associates will happily review the impressive standard and available features that this ride affords, as well as the comprehensive warranty package that comes included with your new purchase. Our Acura dealership believes that all drivers have the right to buy or lease a secure car they can be proud to drive down the street; that's why we offer bad credit financing assistance! Don't let a sleek Acura TLX slip through your fingers, shop our competitively priced inventory online now. Enhanced performance, technology, safety and driver assistance packages available for you to navigate. Our sales associates are up to date on the various packages available and are eager to review any of the features you are interested in. If technology is what you're looking for, technology is what you'll find in the new Acura TLX! Occupants will enjoy the Acura Premium Audio System through a seven-speaker sound system in the Standard Package. Upgrade to the Technology Package and immediately pump your favorite playlist, SiriusXM Satellite Radio or Pandora through the ten speakers, ELS Studio® Premium Audio System. You and your passengers can also stay connected to your compatible smart device via the USB Audio Interface with smartphone integration. To keep an eye on your safety, Acura helps you keep an eye on what's behind you through the Multi-view rear camera with dynamic guidelines. Acura is dedicated to staying on the vanguard of protecting you, your passengers, and those around you. When you get behind the wheel of an Acura TLX, the TLX is a safety feature itself thanks to the Next-generation Advanced Compatibility Engineering™ (ACE™) body structure. Lehigh Valley Acura is eager to welcome you over to our new and used Acura dealership to get you behind the wheel of a sleek new Acura TLX! From the comprehensive warranty to the loaded technology features, your Acura TLX is sure to not only meet but exceed your expectations. When it's time to get your TLX's tires rotated or oil changed, you can schedule your service online. We hope you will continue to visit our Acura dealership for the high level of service that you and your new Acura deserve.